This enthralling modern fairy tale from Caldecott and Newbery Honor winner Tomie dePaola and debut illustrator Doug Salati celebrates the greatest power of all: love. In a small kingdom along an ancient road, a bell rings out. The beloved king has died, leaving his magnificent and powerful Imperial Robe to his heir, the young prince. But when the prince’s jealous older half-brother steals the Imperial Robe, slashing it to bits, the prince can no longer rule—and the small kingdom is in great danger. Now the young prince must find another source of power and of strength—and he finds it in a surprising place. Doug Salati is an illustrator living in New York City. 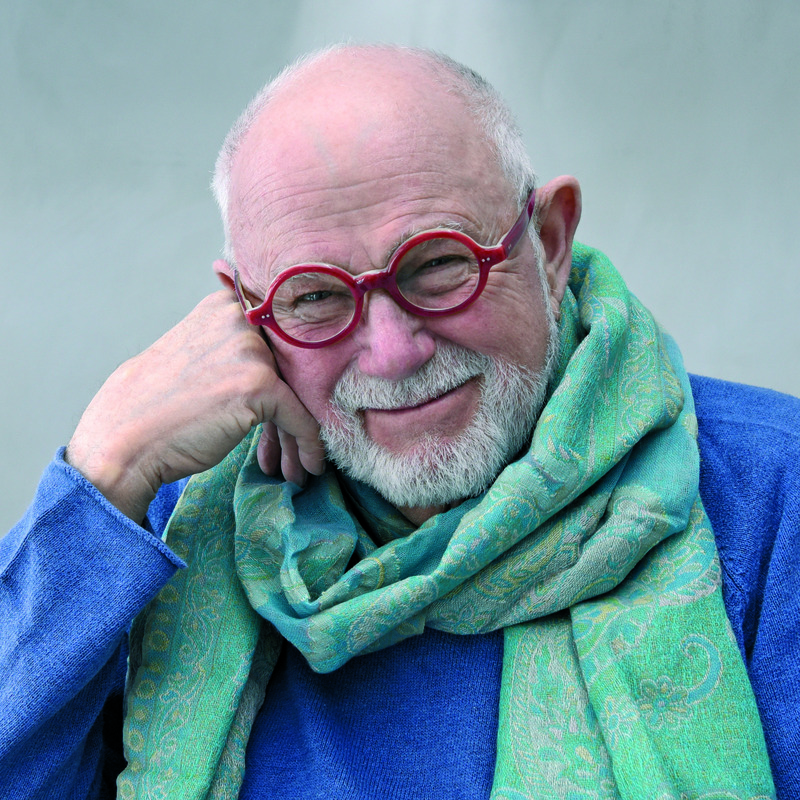 He received his MFA from the School of Visual Arts and was a 2015 Sendak Fellow. His illustrations have received recognition from American Illustration, 3x3, and the Society of Illustrators. 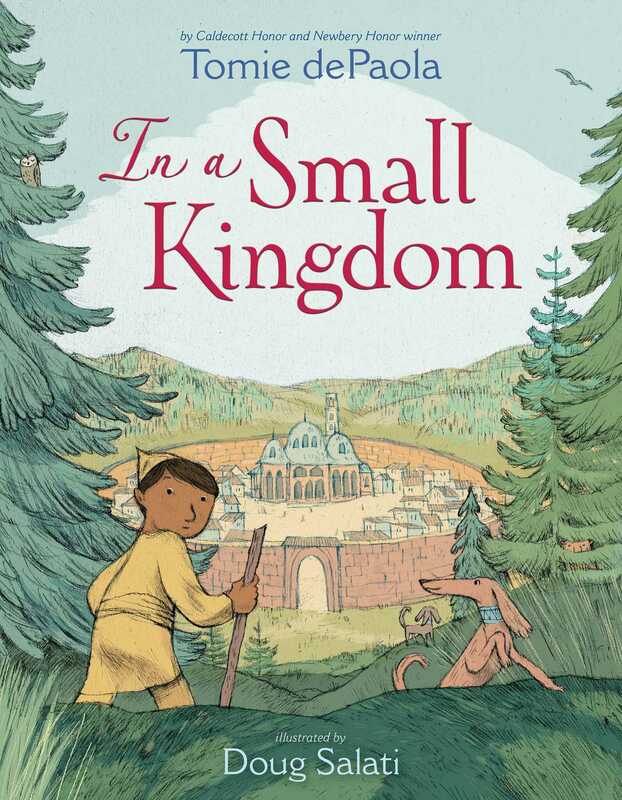 In a Small Kingdom, written by Tomie dePaola, is his debut picture book. Visit him online at DougSalati.com. "DePaola’s original story contains all the necessary components of a fairy tale: an innocent child, a jealous villain, and villagers whose love and respect for the king prompt them to reassemble the garment from its pieces.... Salati’s mixed-media artwork (digitally colored charcoal and graphite drawings) depicts a distant, agrarian past, although the king’s head counselor is female.... Perfect for reading aloud, especially for those preferring nonviolent tales." "DePaola's latest is both a charming fairy tale and a valuable lesson reminding readers that true strength comes from love rather than brute force. Salati's arresting illustrations, filled with beautiful animal imagery, are like a Renaissance woven tapestry come to life . . . A triumphant story celebrating the ability of love, community, and cooperation to overcome any obstacle." * "Debut illustrator Salati, a former Sendak fellow, works with the assurance of a seasoned pro; his illustrations, rendered in delicately textured pencil and earth-toned digital color, combine an old-fashioned sense of setting and character with a contemporary approach to casting (the kingdom is matter-of-factly multicultural, and the king’s chief counselor is a woman). With its themes of ingenuity, generosity, and the enduring power of community, the story is a lovely and pointedly relevant tribute to those who truly confer legitimacy on any leader: the people."